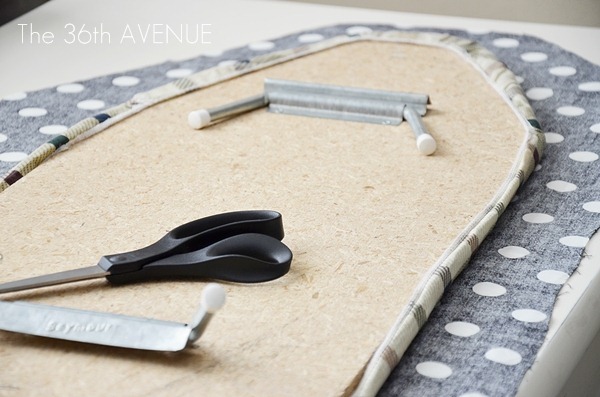 Today I am sharing with you a little DIY Project that can make such a difference in a Craft Room or Laundry Room. 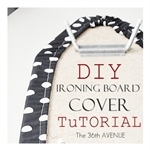 I am sharing how to make an Ironing Board Cover in less than 30 minutes. 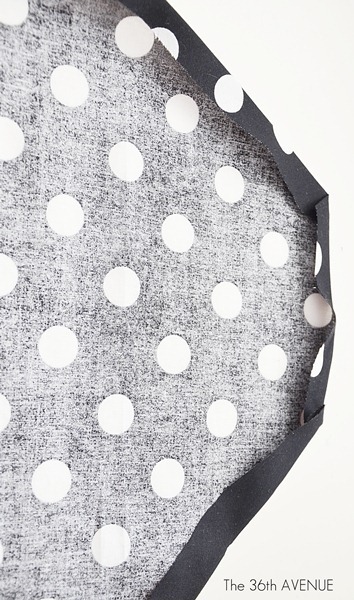 First open your fabric and sit the iron board right on top. Using your ironing board as a template cut the shape of it about three to four inches away from the edge. 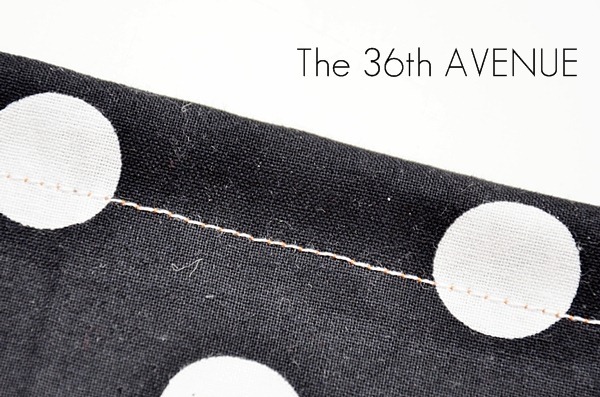 After your fabric is cut make a 3/4 of an inch hem all around the fabric. I like to use the iron to make mine sharp. Don’t give me the I don’t sew excuse. You can do this. 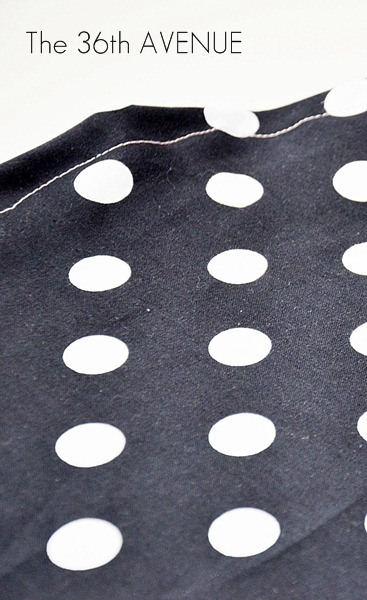 Turn the fabric around and sew the hem about 1/2 of an inch from the edge. 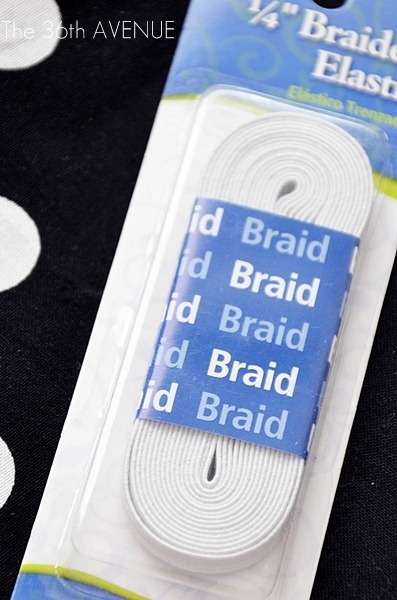 Make sure to leave one corner open so you can insert the elastic band inside and pull it out. Now we are ready for the elastic and last step. The 1/4” elastic works perfectly. 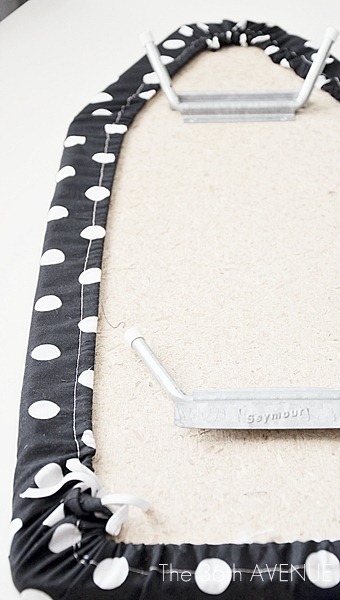 The length of the elastic will depend on the size of your ironing board. 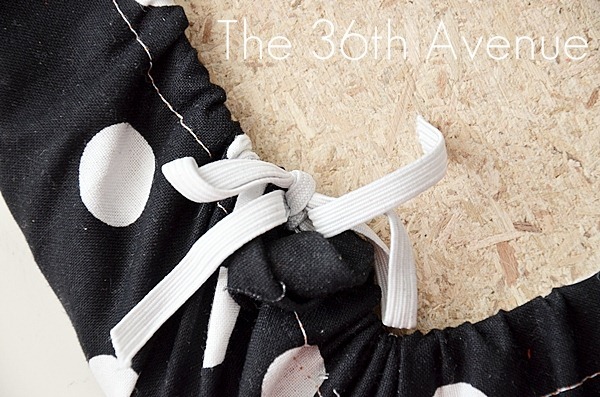 Insert the elastic inside of the hem. I like to use a bobby pin to help me move the elastic along easily. new cover on my iron board. It feels like you are putting on a fitted sheet of a mattress. 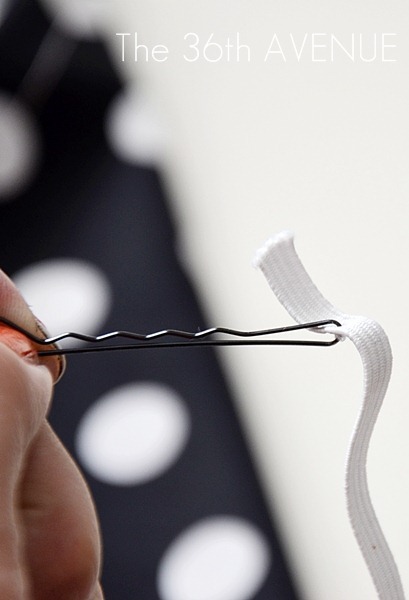 Pull elastic so edges of cover are gathered making sure not to let the elastic slip inside your hem tunnel. When it feels snug tie both ends of the elastic together. 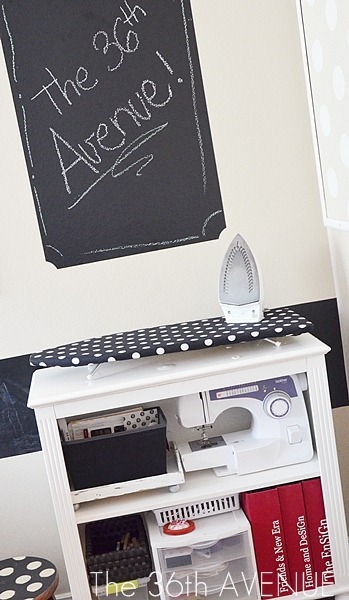 Here is how my new little ironing board looks in my Craft Room. My advice, don’t waste your time looking for a new cover in a store. Just take a chance and make your own in about 20 minutes. Thank you for this easy tutorial. Another way to secure your elastic is with a cord lock. They come in a variety of styles and colors and are very inexpensive. Makes it so quick to remove the cover to launder.